UPDATED: Fri., March 3, 2017, 9 p.m.
Charles Dowdell threw for six touchdowns and 254 yards, but even that wasn’t enough as the visiting Spokane Empire fell to the Wichita Falls Nighthawks 57-65 in double overtime on Friday in Wichita Falls, Texas in Indoor Football League action. In the second overtime, the Empire (1-1) scored on Dowdell’s fourth-down pass to Trevor Kennedy and appeared to have won on a Kennedy two-point conversion when he leaped over defenders from the 3-yard line – but a penalty erased the play. Spokane’s second attempt at the conversion failed, but again, a penalty nullified the play, setting up a third attempt. Dowdell tried again to hook up with Kennedy in the left corner, but the ball was batted away. The teams were assessed a combined 30 penalties for 234 yards. Dejuan Miller had five catches for 78 yards while Kennedy and Carl Sims had four catches apiece. 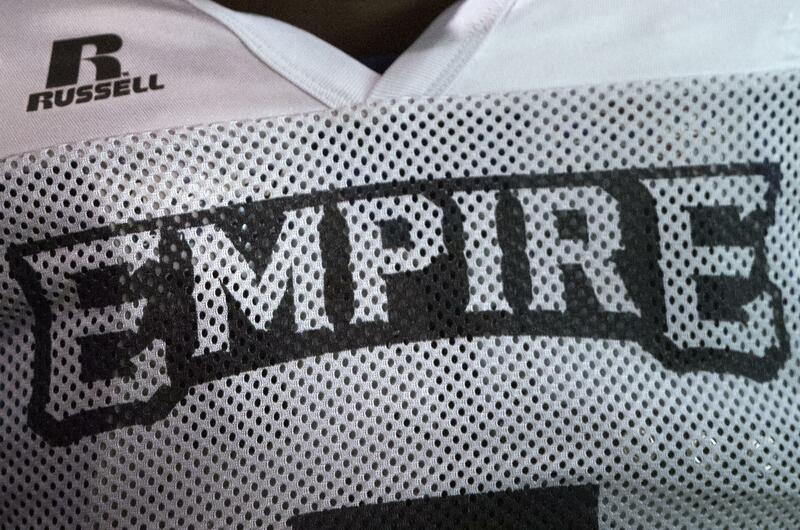 The Empire prompted overtime with a late touchdown. Dowdell found Kennedy on a 27-yard touchdown pass with 1:58 left to tie it. Wichita Falls (3-0) used a nine-play drive to set up a late 24-yard field goal attempt, but Tanner Graeber’s kick with two seconds left was wide left. That gave the Empire a shot at a long field goal attempt, but Craig Peterson missed short and it went to overtime. Charles McCullum passed for six touchdowns and 272 yards with two interceptions for Wichita Falls. Jordan Jolly had 11 catches for 132 yards. Spokane plays at Salt Lake on March 13 at 6 p.m. Published: March 3, 2017, 8:43 p.m. Updated: March 3, 2017, 9 p.m.